BetChain Casino is one of the well-established online casinos in the industry. They host over 2,000 games and offer excellent customer service. They have had years of experience and have maximised on the expertise to provide players globally with the best gaming experience possible. BetChain reeks of experience with its well-developed site having been established in 2013, and offer a full optimised package of games and bonuses. BetChain, a Curacao licensed Casino, started as only accepting Bitcoin. BetChain now has become inclusive of other cryptocurrencies in its efforts to keep abreast of modern trends in the casino marketplace. Further to this they also accept fiat currency which further broadens the inclusivity of the casino. Another highlight of visiting this casino is that you can use it anywhere anytime due to the easy accessibility of all technological gadgets. Registering with BetChain is a simple process which will allow you access to a world of gaming delights. 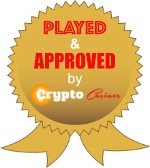 If you are looking for a top-quality and Provably Fair crypto casino, this is the one for you. Visiting the BetChain site is like stepping into an impressive theatre. The interface is a vibrant blue that feels like a mix of magic and mystery. You will be faced with dashingly animated characters that highlight the bonuses on offer. On the top of the screen, you will also be able to log in, register as well as check out promotions, payments, affiliates and its exclusive VIP club. Further down, you will find the games section which is laid out in categories for ease of use. There you will see All Games, New Games, Most Popular, Slots, Roulette, Poker Games, Video Poker, Casual, Card Games, Live, Lottery, Craps and last but not least Jackpot Games. Down below the interface, you will be able to locate all the information areas as well as access the support team. There is a list of games, providers and help options, as well as all the contact info for the support team. BetChain includes a host of languages which include English, Russian, Swedish, German, Norwegian, French, Greek, Italian, Spanish, Turkish and Portuguese. While inclusive of most countries there are a few restrictions including Israel, France, Netherlands, Spain and the UK. The US is restricted for real money wagering. I recommend to all prospective players that before depositing any money, you confirm that you can access the best of what BetChain has to offer. Often game availability varies in jurisdiction based on game provider policy. I do however suggest you check as it does change occasionally. After the many years of being in the business BetChain sure knows how to impress their clients by offering a crazy number of rewards. The 50% Wednesday reload bonus. 15% cash back Tuesdays, with cash back bonuses of up to 0.1 BTC or 50 EUR. The happy hour bonus, players receive these in their inboxes and have 24 hours to use them. There is no need for an exclusive bonus code as all of the above promotions is open for the new and existing players. The maximum withdrawal amount processed to a player is 0.5 BTC or 3,000 € per week and 10,000 € or 2 BTC per month unless otherwise specified in the Terms & Conditions of a specific promotion. Exceptions may be made to players with a higher VIP level, if any, at the Casino’s sole discretion. If you win more than 5 BTC or €15,000, the Casino reserves the right to divide the payout into monthly instalments of maximum 2 BTC or €10,000 until the full amount is paid out. Customers care carries paramount importance for BetChain. They aim to ensure that the player can enjoy the gaming experience while their backend takes care of the rest. They offer assistance via live chat or email 24 hours a day, seven days a week. All staff are professional and highly trained to respond to all queries, allowing you to have peace of mind. Payments and deposit processes are simple and are clearly outlined in a natural step by step process, with support provided by throughout. The “Payment” tab can be found on the top left corner of the screen for you to get started. By adding so many currencies both Crypto and Fiat, BetChain could have faced logistical problems with processing payments but as with everything else all the loopholes have been closed, and you will find all transactions are prompt and efficient. With more than 2,000 games available, BetChain is the most diverse of online casinos currently available. There is a perfectly organised interface, which is presented in various categories helping the player make quick games choices. It is impossible to name all that is on offer, regarding games, but you can rest assured that besides all the basics; like Slots, Horseracing, Table Games such as Blackjack, Baccarat, Pontoon, and Roulette; there are also so many forms of Poker. Besides, there are many new and exciting Bitcoin games for added excitement. In order to offer the latest that is on offer in the gaming arena BetChain has paired up with some of the best in the industry in terms of gaming providers including Amatic, Betsoft, Endorphina, Microgaming, SoftSwiss, Netent, iSoftbet, Habanero, MrSlotty, Ezugi, Gameart, Pragmatic Play, Booming, EGT, Belatra, Spinomenal, and BGGaming. You can count on the best quality that any online casino can offer. BetChain is mobile-friendly, and all of the casino game categories are fully-compatible with all mobile devices so that players can enjoy the state-of-the-art games both on their desktop/laptop and mobile devices. Licensed under Curacao laws as a fully registered online casino, BetChain is a safe-haven for players. BetChain now accepts fiat currency including Euro, Rands, Rubles, Canadian Dollar, Australian Dollar, Swedish Krone and Norwegian Krona. To manage Fiat currencies, BetChain has partnered with leading financial institutions. These include VISA, MasterCard, Maestro, PayPal, Qiwi, Neteller, PuglePay, Ideal, Trustly, Skrill, Yandex Money, PaySafeCard; among others. Bitcoin, Bitcoin Cash, Litecoin, Ethereum, and Dogecoin are the available cryptocurrencies. Players are assured that their currency of choice is safe as this longstanding casino complies with all the most stringent industry rules. For those wanting to get on board as an affiliate partner, BetChain offer an exclusive package of 50% for the first 3-months and a standard package of 25% of the revenue generated from the players you have referred to them. SoftSwiss runs the affiliate software, and the cookie duration is 30 days. BetChain has proven themselves as industry leaders time and time again. There are very few that offer the depth that this casino offers. The interface is aesthetically pleasing, and customer service excellence rounds off BetChain as a leader in the online casino industry. The sleek and sophisticated feel of BetChain further entices players into returning regularly. I highly recommend a visit to what is a stand out online casino. We will share your comment with them on behalf of you. Thank you Noah.